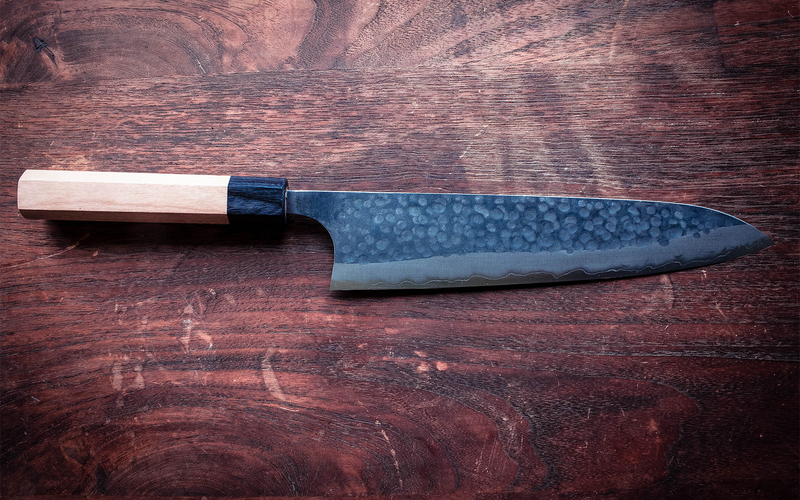 Masakage’s Takayuki Shibata’s first knife series born out of passion for cooking and the persuit for the perfect knife shape. 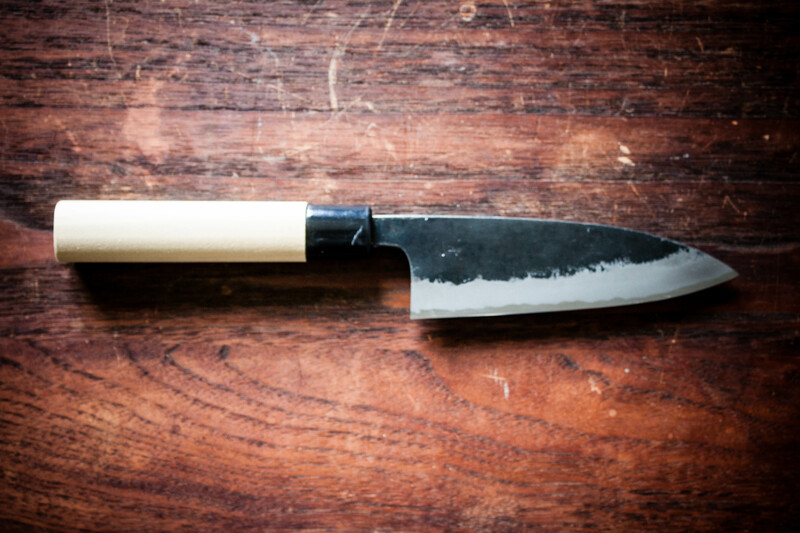 Takayuki Shibata combined his passion for cooking and Japanese knives. He came up with this design after weekends spending in the kitchen cooking for his family. 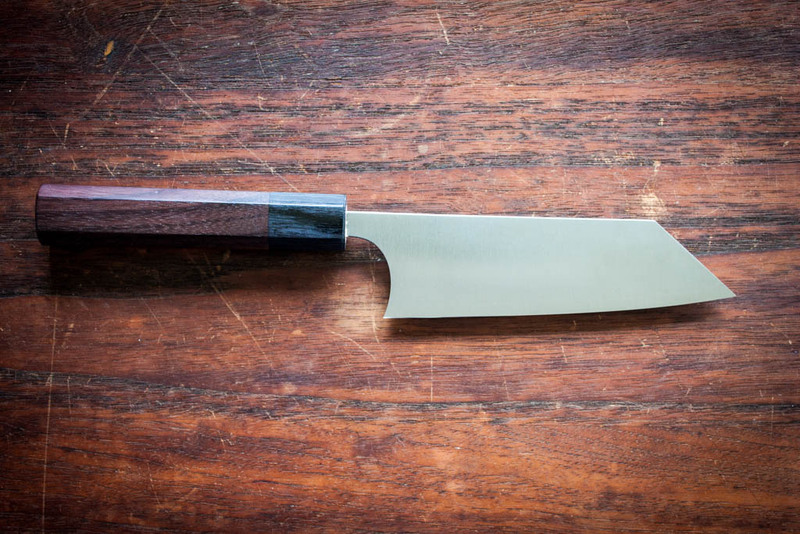 He finds that the pointy tip makes it easy to chop onions and score products such as squid and pork belly. For better allround usability the blade has a lesser belly curve. After using the knife you can understand the performance of this knife. 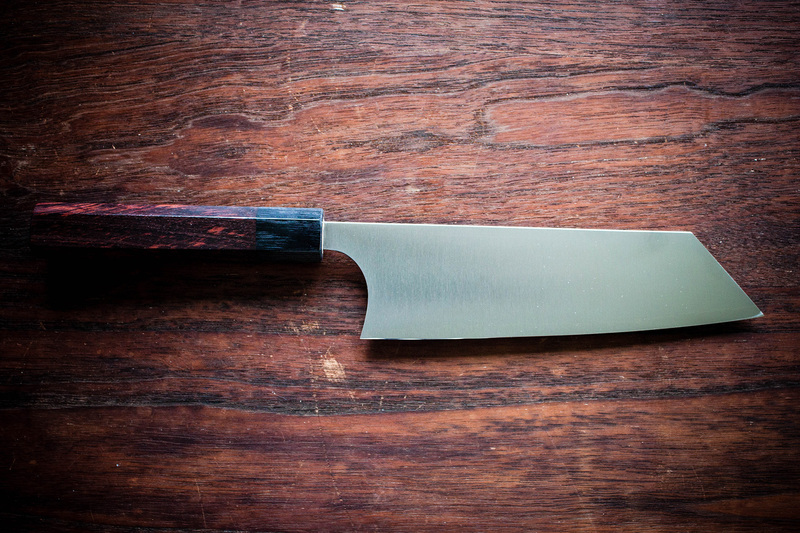 Laser thin and the pointy tip makes chopping easy and precise. 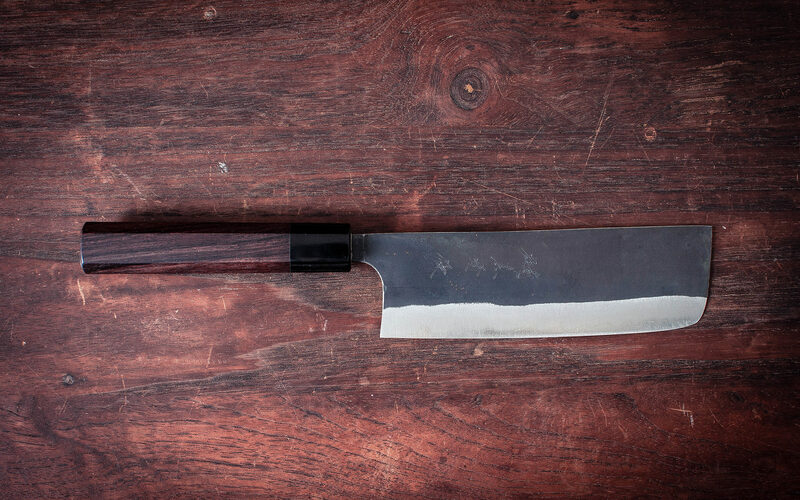 The knife has a quality feel with the satin smooth blade made from R2 and beautiful octagonal rosewood handle. 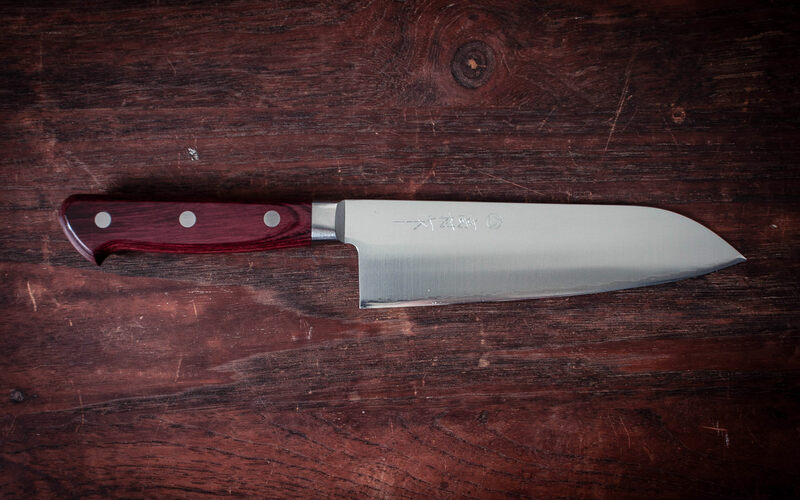 A satin smooth finish on the blade is done with food release of high water content food in mind. 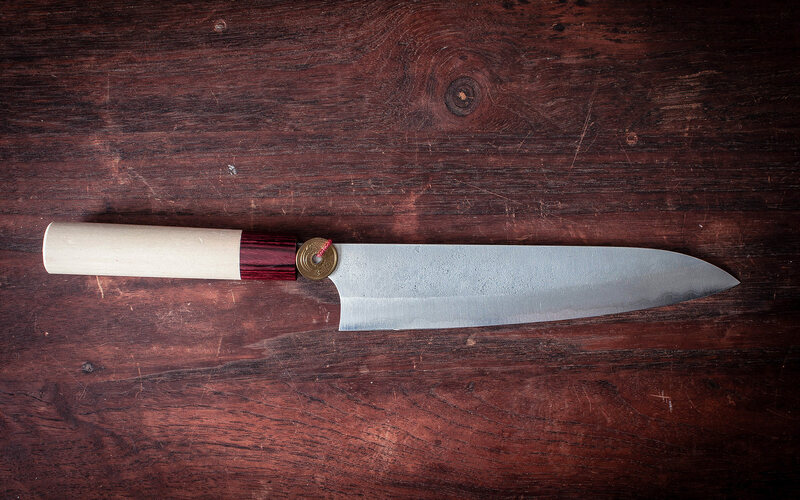 The spine of the blade is high polished for comfort and control when holding the blade. 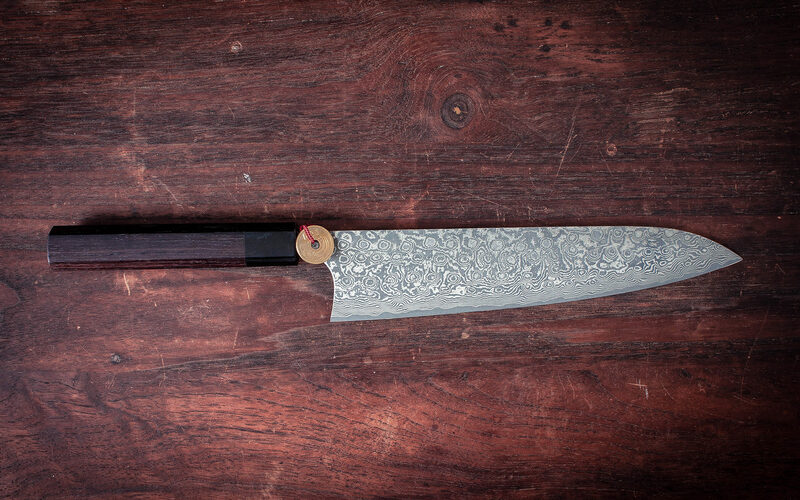 The name Kotetsu comes from the resemblance of the blade shape to a famous warship in Japanese naval history, the Kotetsu.